Although Rio Grande Valley cities were slow to take action against Senate Bill 4, they have been quick to act over the past few weeks. On Tuesday evening, three more cities joined the growing list of Valley jurisdictions to voice their opposition to the law. The Pharr and San Juan City Commissions unanimously passed resolutions opposing the bill, which was scheduled to go into effect Friday until U.S District Judge Orlando Garcia granted an injunction the night before. This halted major provisions of the bill from becoming law. The Alamo City Commission also voiced its opposition to the bill after discussing it with the city attorney during a closed executive session, and a formal resolution will be on the agenda for the next meeting, said Mayor Diana Martinez. 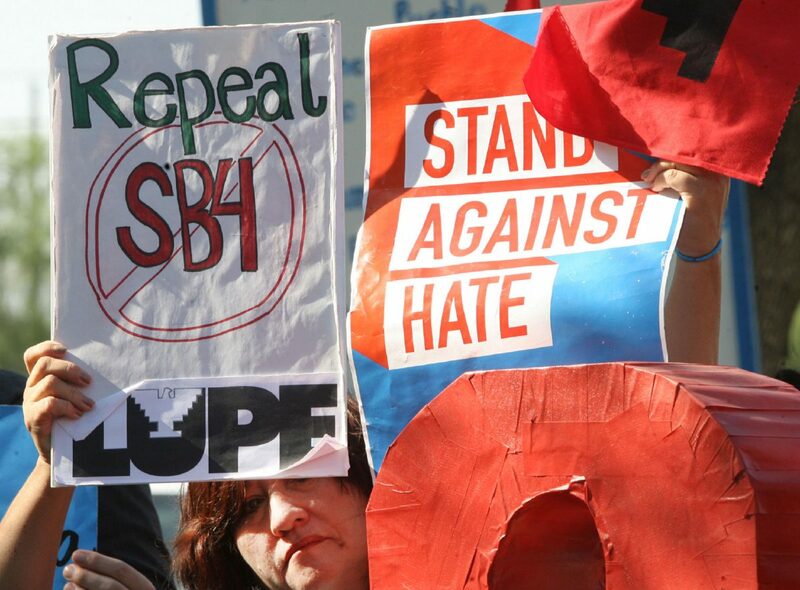 SB 4 – commonly known as an “anti-sanctuary cities” bill – allows local law enforcement officers to question the immigration status of people they detain or arrest in addition to punishes local elected officials that don’t cooperate with federal immigration officials. During public testimony at the Alamo meeting, concerned residents urged commissioners to also pass a resolution against SB 4. LUPE Executive Director Juanita Valdez-Cox told the commissioners the celebration over Garcia’s injunction was “short-lived” after Texas Attorney General Ken Paxton on Friday appealed Garcia’s ruling with the 5th U.S. Circuit Court of Appeals. Tuesday, Paxton asked the same court to stay – or temporarily suspend Garcia’s ruling blocking SB 4 from becoming law, and he requested emergency consideration and a ruling within two days. “This injunction has far reaching public safety consequences. Senate Bill 4 is wholly valid, and the state has every right to prohibit its own localities from having sanctuary city policies,” Paxton said in a statement. But for their part, Valley elected officials disagree, as McAllen, Palmview, La Joya and Rio Grande City, as well as Hidalgo, Starr and Cameron Counties have all passed resolutions opposing it.